Sport a trend-led style by slipping on this blouse. The softness of silk perfectly complements the comfortable kimono sleeves and assures your comfort. Perfect for an all-day stylish look. 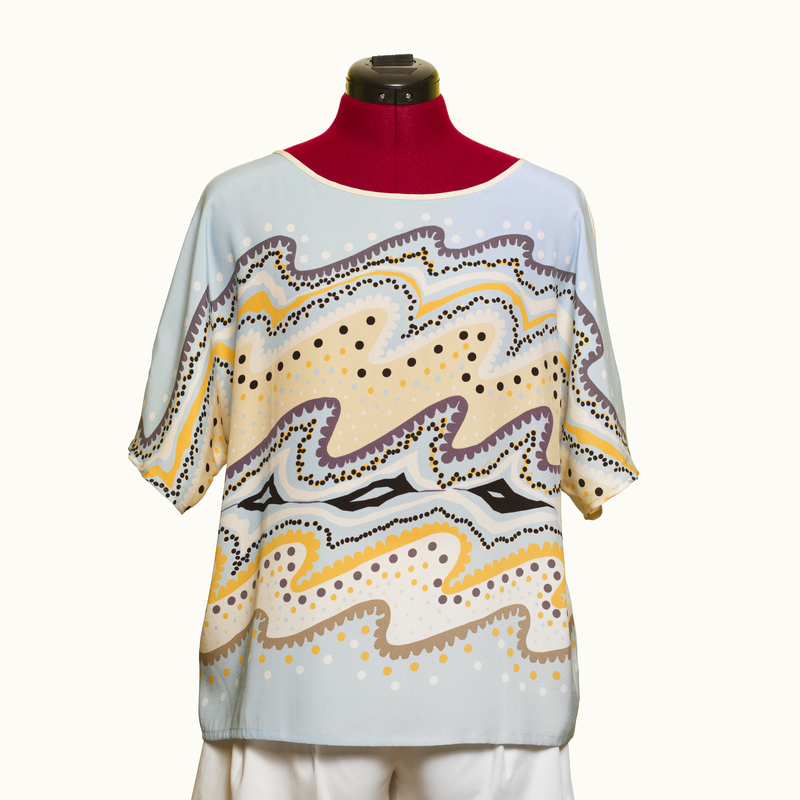 The RIVIERA print is an original and exclusive design by Alba LAZARÍ. Back opening with a lace, kimono short sleeves.